The 37th session of the World Heritage Committee was held in the Kingdom of Cambodia from June 16th to 27th. During the meeting new sites were added to the World Heritage list among which even Italy’s Mount Etna. 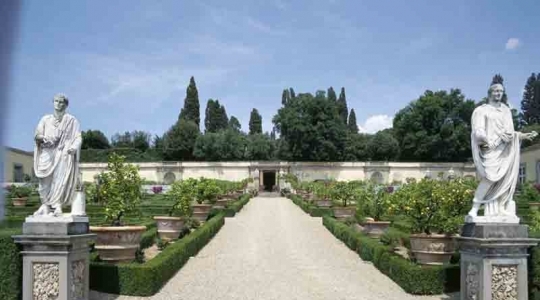 However what makes us particularly proud are the twelve villas and two pleasure gardens of our personal Tuscan legacy. Stretching across the Tuscan countryside, these villas and gardens together are proof of the influence, as patronage of the arts, the Medici family wielded over European culture. The Medicis, in fact, introduced a new type of princely residence, totally different from the farms owned by the rich Florentines or from the military castles of barons. For the first time, this innovative family had villas built in harmony with nature and dedicated to leisure, the arts and knowledge. This integration with the natural environment gave rise to appreciation of landscape so typical of Humanism and the Renaissance. But let’s take a closer look at these sites. Among the first of the oldest Medici villas, Villa di Careggi, near Florence, was remodelled by Medici court architect Michelozzo to resemble a fortified castle after its purchase in 1417 by Cosimo di Giovanni de’ Medici (Cosimo the Elder). It is known as the site of the Platonic academy that Cosimo founded, and here he died in 1464. It was Cosimo’s nephew, Lorenzo de’ Medici, who later extended the terraced gardens and the shaded wood. Bought in 1848 by an Englishman, Francis Sloane, the landscape changed with the addition of exotic plants such as Cedar of Lebanon, Himalayan cedars, Californian sequoias and eastern Mediterranean shrubs and palms. 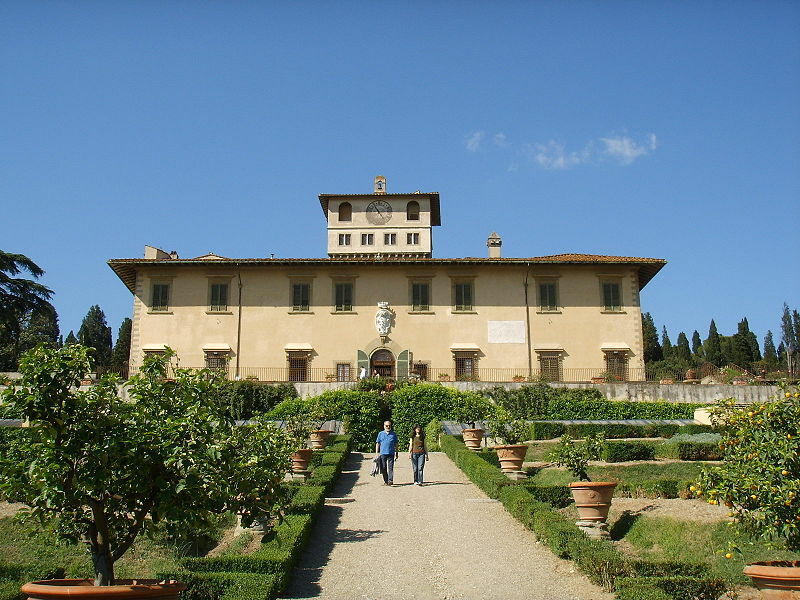 The Villa Medici in Fiesole was built between 1451 and 1457 by the above mentioned architect Michelozzo, but this time with a more outward-looking, Renaissance character. 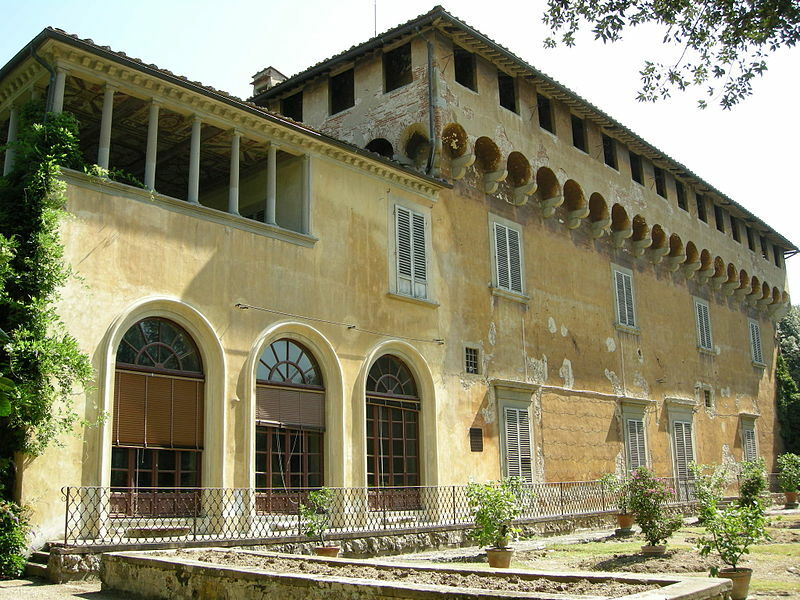 Strangely this villa is the best preserved of the Medici villas, yet at the same time one of the least known. Unlike the previous villas, this had no connections with the farming life. It was, in fact, constructed as setting of the aesthetic and ideological values of the family, receiving the artists, philosophers and men of letters of the period. The magnificent garden, on three terraces, owing to the villa’s position on a sloping land, was created in different periods. The third terrace, between 1911-1923, by Edwardian garden designer Cecil Pinsent, was laid out in the Italian style with a fine pergola. On the slopes of Castello, near Florence, is Villa di Castello, whose magnificent gardens are second only to those of Boboli. The estate was bought by Lorenzo de’ Medici in 1477; here he housed Renaissance masterpieces such as Botticelli’s “The Birth of Venus” and the “primavera”. 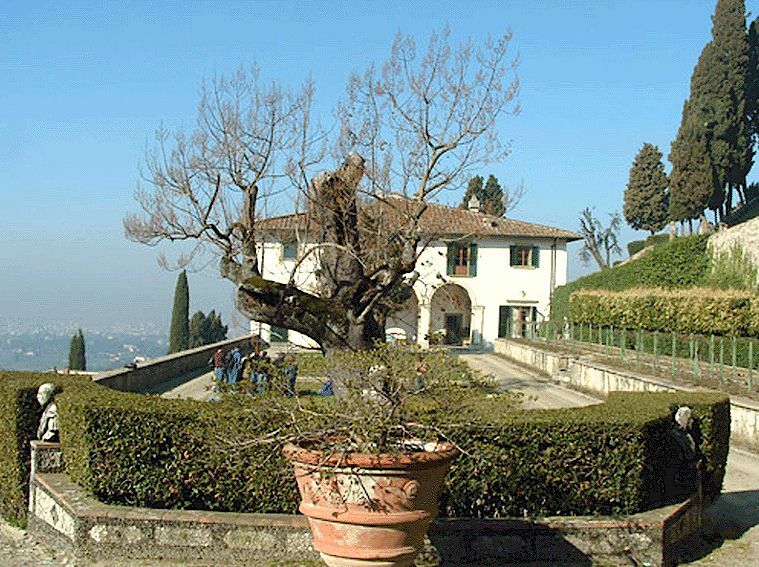 Today the Villa is not open to the public because seat of the Florentine literary academy, the Accademia della Crusca (Academy of the Bran), but visitors may enjoy the splendid garden, a representation of Cosimo I de Medici’s (Cosimo the Younger) rise to power as Grand Duke of Tuscany. It was he, in fact, in 1538 that had the garden planned according to a complex symbolical design in which the statues, fountains and grottoes celebrated Cosimo’s new status. 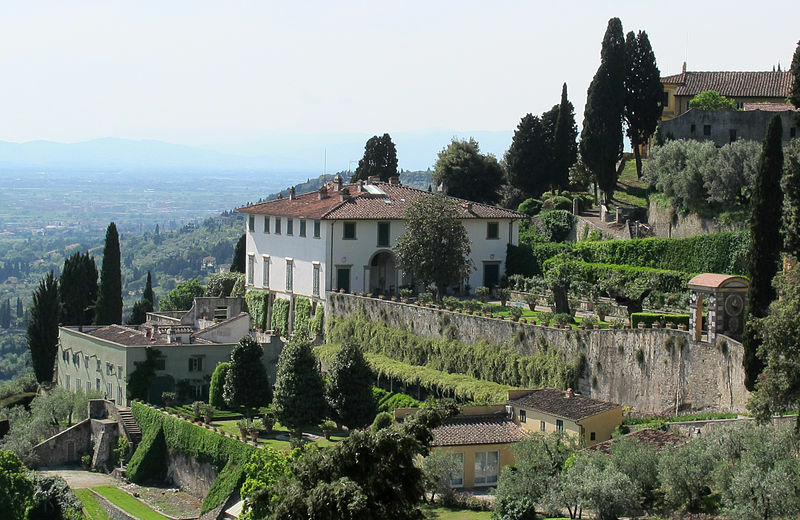 Also on the hills of Castello, outside Florence, is Villa La Petraia probably one the most attractive of the Medici villas, on account of both its position, overlooking Florence, as for its fine pictorial decoration and superb garden and park. Unlike the other villas, marked by their military importance, their hunting grounds or their representative function, this one was exclusively used as a residence. 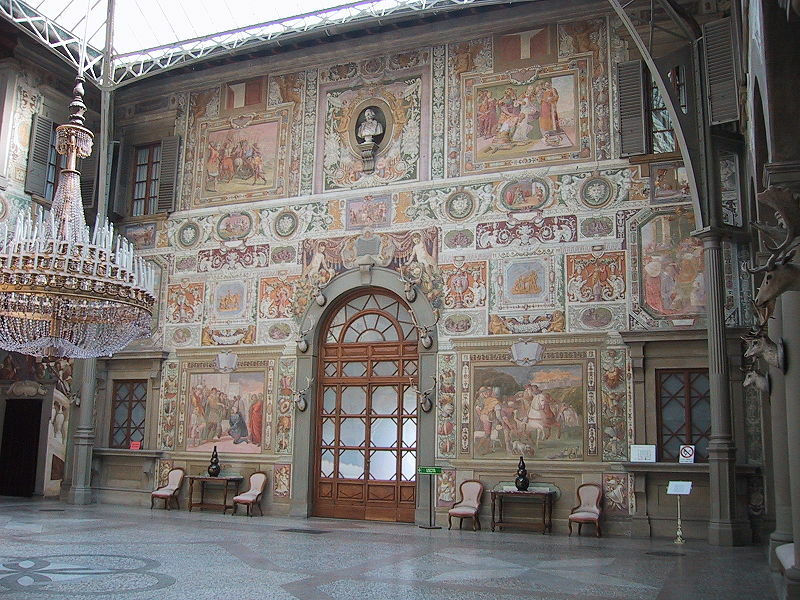 Particularly magnificent is the frescoed courtyard (1637-1646) celebrating the Medici ancestry by Baldassare Franceschini. Originally an ancient fortified residence, as the great tower testifies, it was enlarged at the end of the 16th century to create the present villa with its beautifully designed terraced garden. Rising behind the Pitti Palace, in Florence, are the beautiful Boboli Gardens. 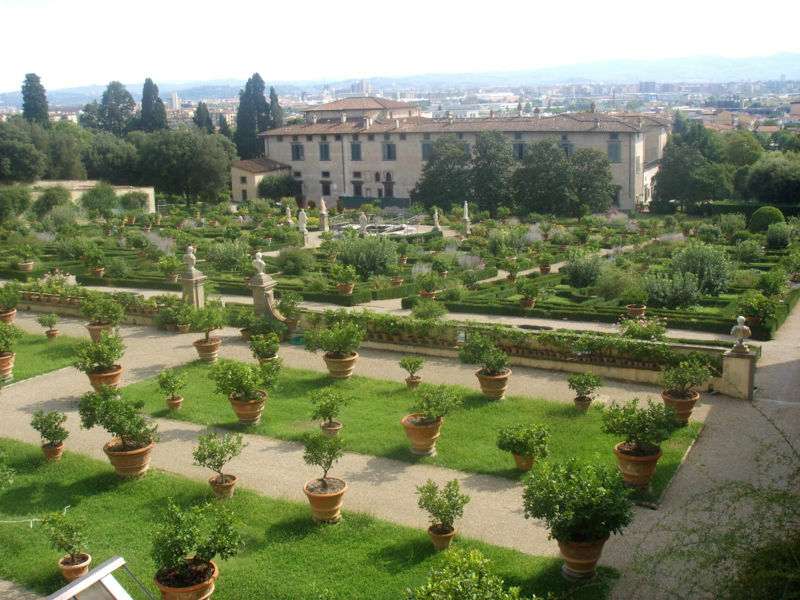 Originally designed for the Medici, these gardens are one of the earliest examples of Italian garden, later to inspire so many European courts. The gardens extend over a vast area forming an open-air museum with antique and Renaissance statues, grottoes and large fountains. Exploring the numerous, as well as various, paths visitors relive the spirit of life at court as well as experience the age-old natural cycle of the garden. Situated near the Fucecchio Wetlands is Villa di Cerreto Guidi. Built in 1556 by Cosimo I as a fortified hunting lodge on the ruins of the former castle of the Counts Guidi, the villa is attributed to the architect Buontalenti. Here on the 15th July 1576 took place the brutal murder of Isabella de’ Medici, by her husband Paolo Giordano I Orsini, probably aided by one or more assassins. Since 2002 the building hosts the Historical Hunting and Territorial Museum, with a large collection of firearms of the 17th-19th centuries. On the hills of Arcetri, near the Gardens of Boboli, is Villa del Poggio Imperiale, a predominantly neoclassical grand ducal villa. The extraordinary history of this villa has it originally the residence of the Baroncelli family, later seized by the Cosimo I de’ Medici, who bequeathed it to his daughter Isabella, the same to be murdered at the Villa di Cerreto Guidi by her husband Paolo Giordano I Orsini. It then became the lavish retreat of the Archduchess Maria Maddalena of Austria and much later given to one of Napoleon’s sisters. 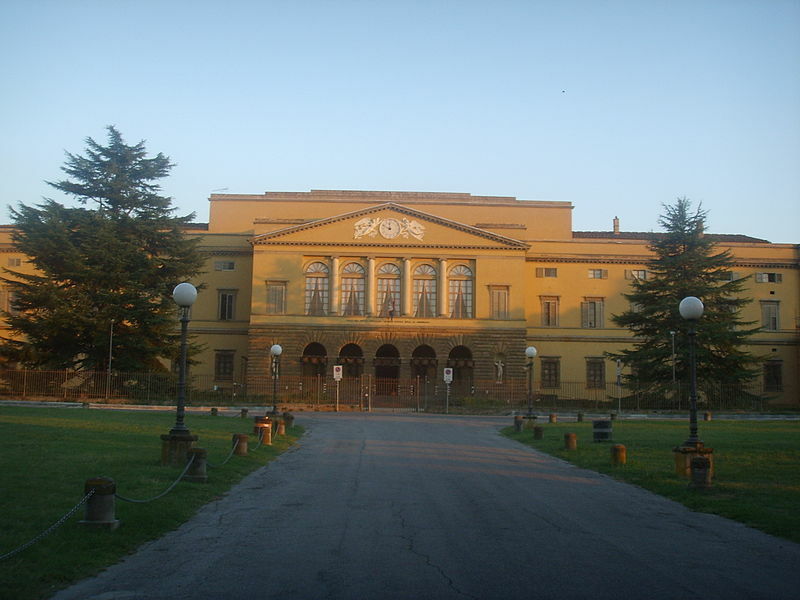 In spite of witnessing the somewhat turbulent history of Italy, and being redesigned and rebuilt many times, today the villa has been converted into a prestigious girls’ school. We are yet only half way through visiting these newly inscribed world heritages. I suggest a little break so as to savour the remaining with more relish. Questa voce è stata pubblicata in Castles in Tuscany, Culture and accommodations in Tuscany, Senza categoria, Tuscan lifestyle e contrassegnata con Tuscan Castles, tuscan villas, Tuscan world heritage list. Contrassegna il permalink.